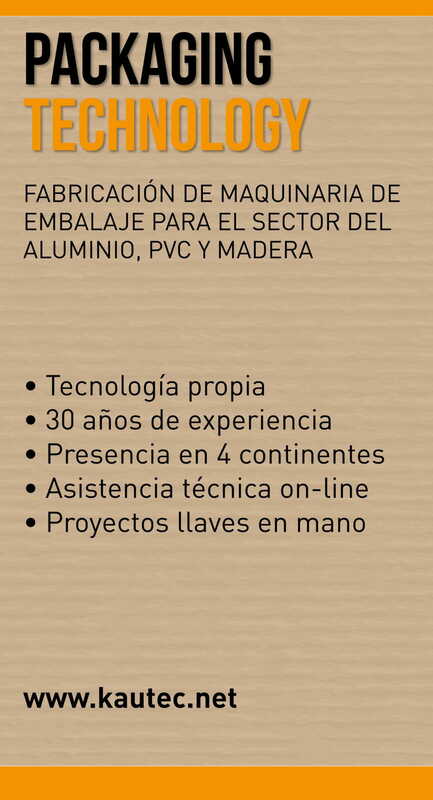 KAUTEC offers tailor-made solutions in the sector of PACKAGING MACHINERY for aluminium profiles, PVC, wood, etc. We customize each one of the projects we undertake. Our aim is to respond to the specific needs of each client. Our main products are orbital wrapping, laminating of profiles and sheets, automatic loading, handling and unloading, as well as giving technical assistance online ensuring immediate service anywhere in the world. Our team is constantly working on the development of systems for the automation of packaging processes, thereby optimizing productivity, reducing costs, improving the quality of the operator's work, increasing the safety of facilities and the protection of workers and their flexibiltiy to adapt to new products. In short, KAUTEC is constantly developing new products to suit market needs.